GRAND FORKS – More allegations of corruption and misconduct were levied at North Dakota Attorney General Wayne Stenehjem Friday afternoon by his challenger, attorney David Thompson. Due to a conflict of interest from large campaign donations from the Republican General Association – heavily supported by the telecommunication industry – Stenehjem has been willfully ignoring the prosecution of rising flood of robocall scams, Thompson said. Instead of using the “powerful weapons” provided by the North Dakota Century Code in Chapter 51-28 against robocall scammers, Stenehjem simply signed a letter with 34 other attorneys general, but has done nothing about the situation, Thompson said. Robocalls have been “ravaging mobile and landline phone customers in record numbers this year,” Thompson said. Many robocalls use a scam called neighbor spoofing, which makes the caller ID resemble a local number. The North Dakota Century Code states that such scammers may be fined up to $5,000 for every violation, and specifically states that anyone making a telephone solicitation in North Dakota cannot deliberately circumvent a subscriber’s use of caller identification. “The use of fake caller ID numbers to induce telephone customers to answer their phones under these false pretenses clearly comes within the scope of this statute,” Thompson said. “There is no good reason why the North Dakota Attorney General Wayne Stenehjem – who has been in office for almost 18 years – has not used the powerful authority of the N.D.C.C. to protect North Dakota consumers from robocall scammers using ‘neighbor spoofing’ to get people to answer phone calls under false pretenses,” Thompson said. Tracing robocalls is challenging, but telecommunications companies have the technology to filter out scam robocalls. Stenehjem accepted $10,000 from the Republic Attorneys General Association, or RAGA, according to Open Secrets Center for Responsive Politics. The organization has come under fire for holding lavish $125,000-to-attend getaways for state attorneys general, including one in June at Kiawah Island, South Carolina that CBS News reported Stenehjem attended. The attorneys general also encouraged the FCC to fully implement a program called STIR/SHAKEN, a framework that service providers can utilize to authenticate legitimate calls and identify spoof calls. In an October 9 press release, Stenehjem stated robocalls were the North Dakota consumers’ main complaint in 2017, and that the FCC granted phone service providers authority to block illegal spoofed robocalls in November the same year. “The large telecommunications companies that provide cell phone and landline service here in North Dakota, including Verizon, Sprint, Midcontinent, and others, can and should do much more to greatly minimize the robocall scammer invasion of everyone’s phones,” Thompson said. “In addition to using existing technology which is available to accomplish this, they have been dragging their feet, Attorney General Wayne Stenehjem has not been allowing them to do so. “North Dakotans are being harassed with an ever-growing epidemic of robocalls coming into their cell and landline phones, and they need an Attorney General who will do more than issue press releases, and sign letters to federal agencies written by others asking for help with this growing menace,” Thompson said. 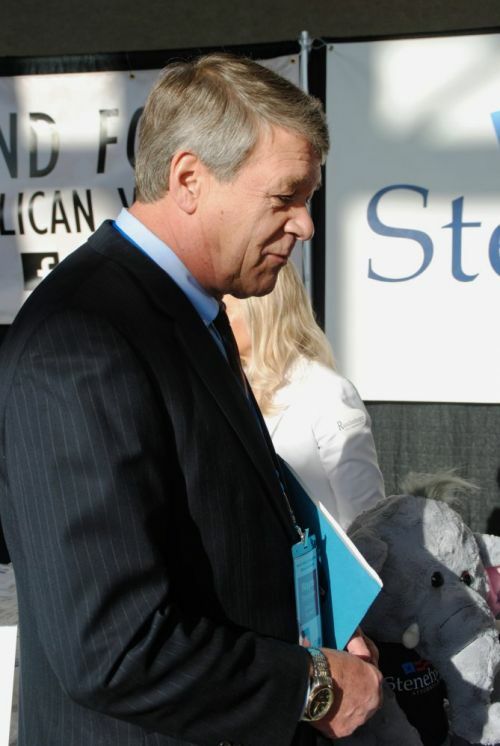 Stenehjem’s office was contacted for comment, but calls were directed to the North Dakota Republican Party communications director Jake Wilkins, who did not return telephone calls. Stenehjem has also been sued recently due to his involvement in joining North Dakota to a federal lawsuit in Texas alleging the Affordable Care Act is unconstitutional. He has also been named in previous bribery investigations involving former Governor Jack Dalrymple and oil companies.